I’m sure it’s going to take me a few days to get my head on straight but I arrived home last night after several fun-filled days down in the Opryland Hotel in Nashville, TN with CAbi. CAbi, or Carol Anderson By Invitation is a line of clothes that is sold via direct sales only sort of like a Tastefully Simple or a Stella & Dot. 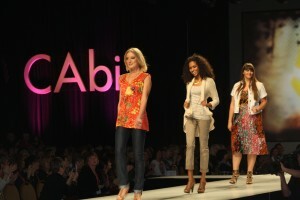 Local parties are hosted with a CAbi rep selling the pieces. CAbi was generous enough to give us a gift card to purchase some of their clothes at their shopping event and I got some fabulous pieces! I’ll be sharing them all in a fashion haul video later this week. I really did love their clothes. My perception is that their target for their audience is women ages 30-60 or so. 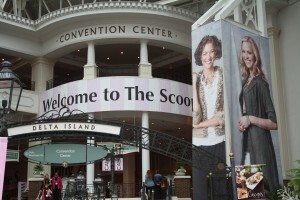 What I loved the best (besides the fab clothes) was the enthusiasm these women have for their company and the product. I’ve never been to a conference with so much hooting and screaming. These women are devoted to their jobs and for some, becoming a CAbi rep has been life-changing. The entire event was inspirational. Disclosure: I attended the CAbi event as a media guest and while my trip was all-expense paid, I was not compensated and all opinions are my own. I just recently found CAbi – there’s an outlet nearby and the prices are so reasonable! 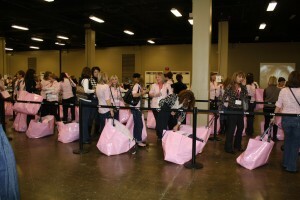 I am a CAbi consultant and saw you blogged us so I read on. And low and behold fell in love with the Breast Cancer Prayer Box necklace you recommended. Just purchased 5 of them for all my lady friends and shipped the same for 14 cents! Thanks for the recommendation. I would never have found that needle in a haystack ever!!! Forex Strategies Excellent, happy someone believed it was beneficial !